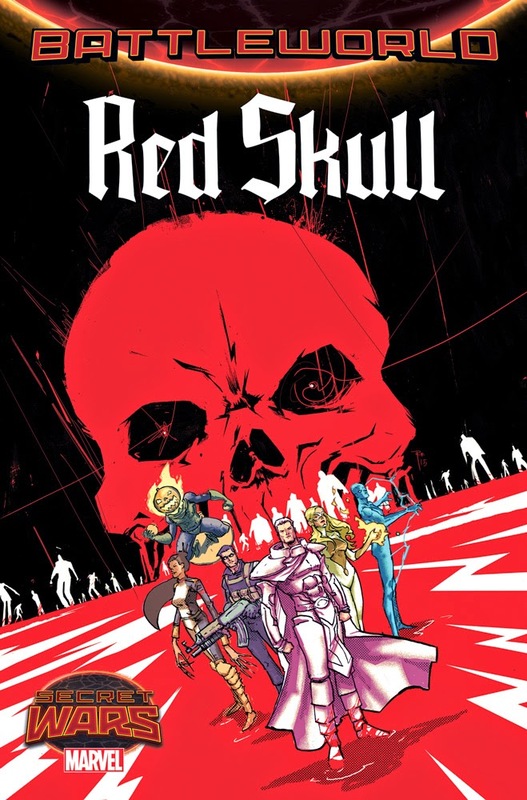 A Dangerous Odyssey Across Battleworld in RED SKULL #1! New York, NY—March 27th, 2015— Hushed whispers cut across Battleworld. One of the most vile villains in history still draws breath. But how can this be? He should be dead! And yet his legend grows even larger in the pages of RED SKULL #1 – a brand new Secret Wars limited series beginning this July! Writer Josh Williamson (Birthright, Nailbiter) and artist Luca Pizzari (Amazing Spider-Man Special) bring you a twisted tale from the bowels of Battleworld!